Presentation Stories is about using story in any presentation, to any audience, using any tools. I'll share my horror stories and lessons learned so you can focus more on your message and audience and less on your clipart. Click on any of the images below to be taken to YouTube to watch the video. Subscribe here to be notified of the latest and greatest from Wearrative. If you need help on a specific presentation or want to see us cover s specific topic, contact us here. Few conversations are as disappointing as ones where bad news goes undiscussed. When you don’t get the bad news on the table, it lingers and can paralyze any creative thought you would otherwise have. Worse, it can impact subsequent conversations or meeting you have that have nothing to do with the elephant-discussion. Follow these 5 steps to deliver bad news in a way that preserves trust and tells your audience what to do next. Click the image above to watch the episode on YouTube. Want more information on how to deliver bad news? Want more information on how to connect with your audience? If you don't take your audience on the right emotional journey your message will end when your presentation ends. Yet, if you create an emotional journey that matches your message your words will live well beyond your presentation. This episode is all about how to create the right emotional journey. 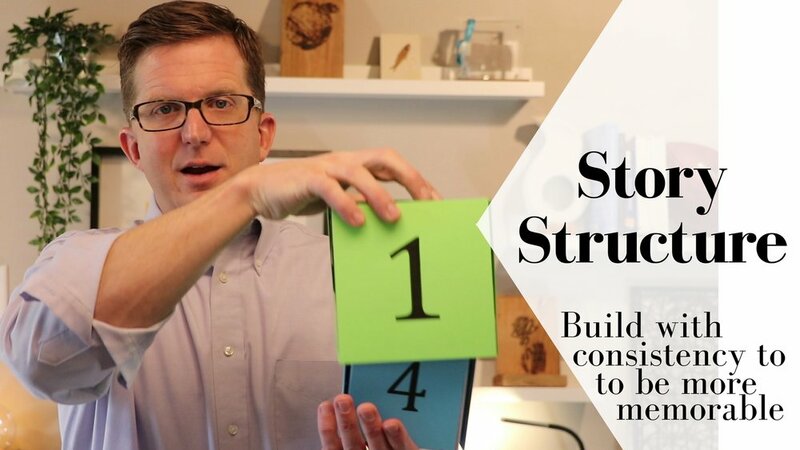 A story with structure is easier to remember for you AND your audience. This episode is all about the right structure in everyday presentations. I am talking about the elevator pitch, the water cooler talk, the office drive-by and better yet, stopping the CEO to let her know YOU are the right person for the promotion you are applying for. Click the image above to watch on YouTube. What to do when you show up to present and the moderator tells you they need you to cut your presentation short. AAAHHH! As if presenting isn't stressful enough, now this! At the last minute! In this video we will walk you through the do's and dont's when your time is slashed. Presentation stories is about using story in any presentation, to any audience, using any tools. I'll share my horror stories and lessons learned so you can focus more on your story and audience and less on your clipart. It is OK to get emotional while presenting, just be sure your emotions don't conflict with the emotional journey you want to take your audience on. If you think you will get emotional during your presentation, use these three tips to ensure your audience knows how to translate those emotions. Click the image above to watch on YouTube. Want more content on getting emotional while presenting? If you don’t understand the biases your audience has to you, your company, your message, your shirt, whatever it is, then you do not understand your audience. Not understanding your audience means you built your story deaf to the most critical person in the room. Click the image above to watch this episode and learn how to overcome bias. Want more information on overcoming bias? Want more information on overcoming biases? The success of your talk is based on two things... 1) the emotional connections you make with your audiences and 2) how memorable your message is. This episode explains how to make your message more memorable. Anxiety can seriously impact your ability to effectively communicate your message and perform at your best. In this video I share with you the tricks that have helped me through many speaking opportunities and sporting events. Click the image above to watch on YouTube. My anxiety is a mild form and it is important to know if you should seek attention for a more debilitating form of anxiety. Check out these two resources to help know the difference and if you are unsure, never hesitate to contact a professional for help. Why Are More American Teenagers Than Ever Suffering From Severe Anxiety? New York Times. No longer fear the dreaded late night call or email that you have to present the next day. 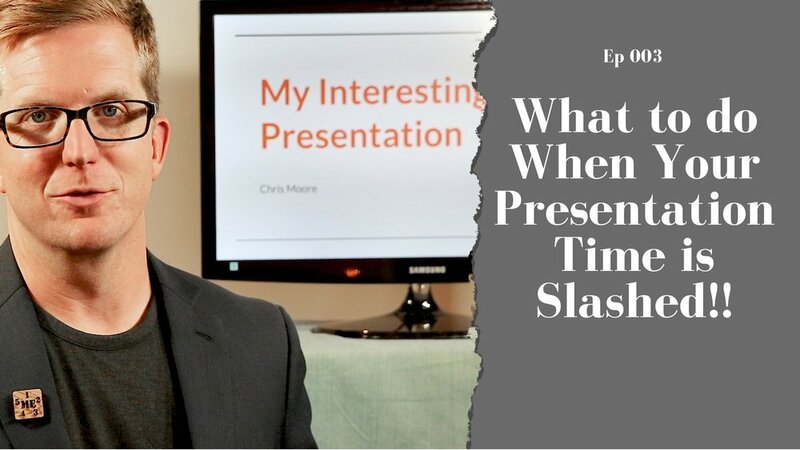 This episode of Presentation Stories teaches you how to handle these mini disasters in 5 phases: the call, oh crap, the plan, the next morning and the presentation. Let people know who you are, but make sure it adds to your story and doesn't distract from it. That changes depending on your story, how you want your audience to feel and what you want them to say. Check this out for a few examples and tips!